Disappointed Mahmudullah concedes that the Sri Lankans dealt with spin on a difficult pitch better than his batsmen. 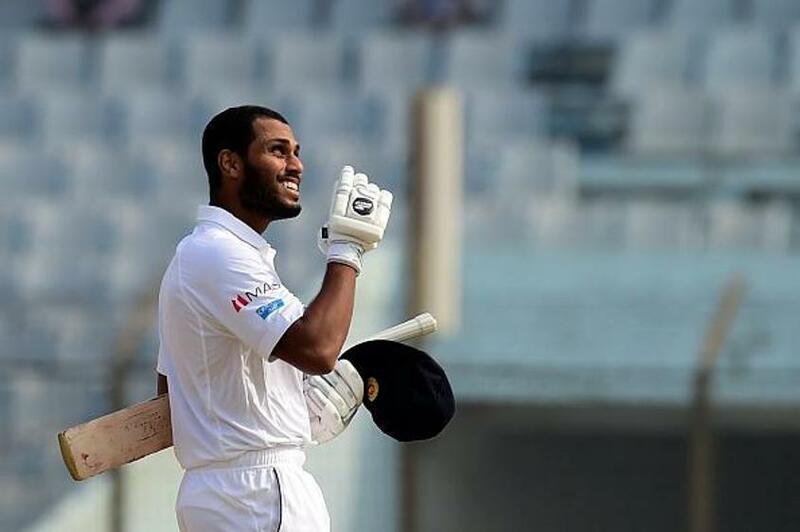 Two half-centuries from Roshen Silva and eight wickets for the match on debut by Akila Dananjaya headlined Sri Lanka's comprehensive 215-run victory over Bangladesh in the second and final Test in Dhaka on Saturday (19 February). With the win, Sri Lanka took the two-match series 1-0. In what was a low-scoring affair, the Sri Lankan batsmen showed better application with the bat and more penetration with the ball on a pitch that was turning too much for the batsmen to be comfortable. Nobody from the Bangladesh team managed a half-century - Mehidy Hasan's 38 not out in the first innings was the best individual effort - whereas Silva got good support in both innings. 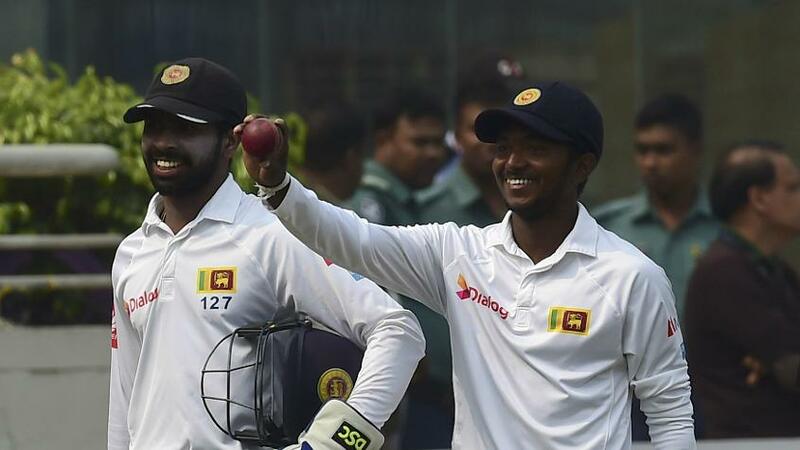 After the match, Dinesh Chandimal, the Sri Lanka captain, called the pitch 'a nightmare' for the batsmen and lauded his team-mates for coming out on top. "This was a really good series. The first game was a nightmare for the bowlers and this one was a nightmare for the batters. The guys executed our gameplans really well out in the middle," Chandimal said. Roshen Silva had an outstanding Test on a tricky pitch, scoring 56 and 70 not out. The first Test in Chittagong was played on a surface that assisted the batsmen far too much and was rated as 'below average' by the ICC. A total of 1533 runs were scored then and only 24 wickets fell. Chandimal said that because the second Test was the series decider, he had expected a result-oriented pitch anyway. "After the first game, we thought the second pitch might be a turning wicket. We were surprised because we have all the experienced spinners. Credit also goes to Roshen Silva, who had an outstanding series - even Kusal Mendis and Dhananjaya (de Silva). Also all the bowlers," he said. Silva, the Player of the Match and the Player of the Series, attributed the team's success to the ability of the lower order to add runs. He believed that the toss was crucial and that Sri Lanka were lucky to have got first strike. "First of all, I want to thank the almighty God for helping Chandimal win the toss on this wicket. We batted first and the rest is history. I thought this wicket was difficult so I just wanted to keep it simple - I just played my normal game," Silva said. "I think one of the strengths we have is the guys in the lower order never throw away their wickets. Even 20-30 runs are very valuable on this wicket. I hope and I pray that I can carry this (form) forward for the rest of the career." Akila Dananjaya shows off the match ball after picking up a five-wicket haul. Bangladesh were understandably disappointed to have lost a home Test series. Mahmudullah, standing in as captain in Shakib Al Hasan's absence, rued the failure to get a big first-innings total, when Bangladesh only managed 110 to concede a 112-run deficit. He conceded that the Bangladesh bowlers bowled well only in patches and that Sri Lanka played spin better than his batsmen. "Feeling really disappointed because we knew the pitch would get us a result. In this sort of a wicket, you should cash in on the first innings. Their bowlers did the job really well, keeping the pressure on us every time we came out," he said. "Our bowlers did well in patches. One positive was the intent from Mominul. He played spinners on the front foot as well as the back."